Everything looks better with flowers from Bland’s Florist! We are a friendly, full-service florist proudly serving Petersburg and the surrounding area with over 40 years of design experience. Stop by and make a selection from our assortment of quality floral and gift items for all ages and occasions… birthdays, weddings, anniversaries, holidays, bereavements, or just thinking of you. The shop is conveniently located at 7 West Wythe Street and is open to serve your floral and gift giving needs: Monday through Friday 9am to 5pm and Saturday 9am to 3pm. Wedding & Special Event Flowers ~ Whether time-honored and traditional or modern and contemporary, we design bouquets and floral arrangements to reflect a bride’s individual style and budget. Let our expert floral consultants help you plan a truly magical event with gorgeous, unforgettable flowers from Bland’s Florist! All Occasion Gift Ideas ~ Browse our variety of green and blooming plants for a gift that brings life to any room or office. Our gift collection includes balloons for all occasions, cuddly stuffed animals, silk & dried floral designs and more! Send one of our fresh fruit or snack baskets for a wonderful surprise gift anytime of year! 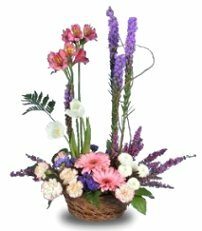 Sympathy & Memorial Flowers ~ Ask our staff about customizing a floral tribute to a departed friend or loved one. 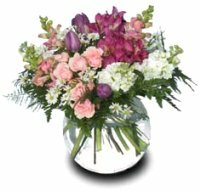 You can depend on us to help you choose flowers that beautifully convey your expressions of sympathy and serve as a lovely memorial to the deceased. Thank you for visiting our website… Convenient and secure online ordering is available anytime, day or night! Bland's Florist accepts all major credit cards and checks by phone.